CRAZY COOL GROOVY!!! : SUNS WIN 2018 NBA DRAFT LOTTERY!!! CRAZY COOL GROOVY CONGRATULATIONS goes out to Owner ROBERT SARVER, General Manager RYAN McDONOUGH, Head Coach IGOR KOKOSKOV, and, the PHOENIX SUNS, fr Tuesday night winning the 2018 NBA DRAFT LOTTERY!!! 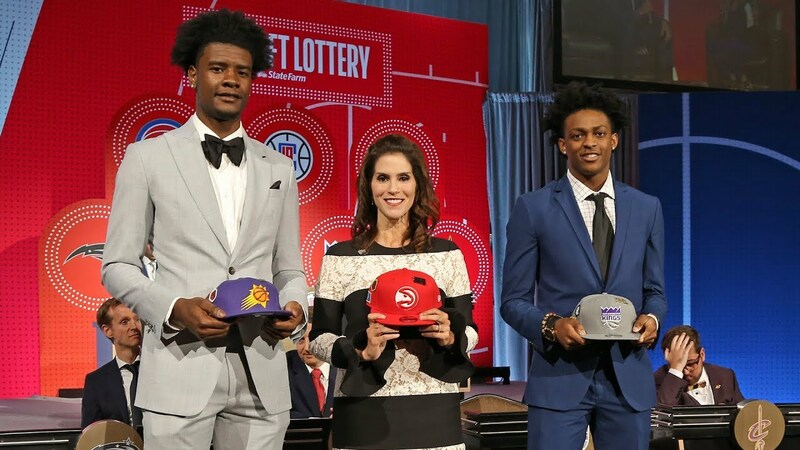 The 2018 NBA DRAFT LOTTERY took place at the PALMER HOUSE HILTON in CHICAGO. The SACRAMENTO KINGS placed second, and, the ATLANTA HAWKS can in third. 2018 is the first year in team history that the SUNS have won the NBA DRFAT LOTTERY, and, this means that they will have the first selection during Rounds #1 and #2 during the upcoming 2018 NBA DRAFT. The 2018 NBA DRAFT takes place Thursday, June 21, 2018, at the BARCLAYS CENTER in BROOKLYN, NY.